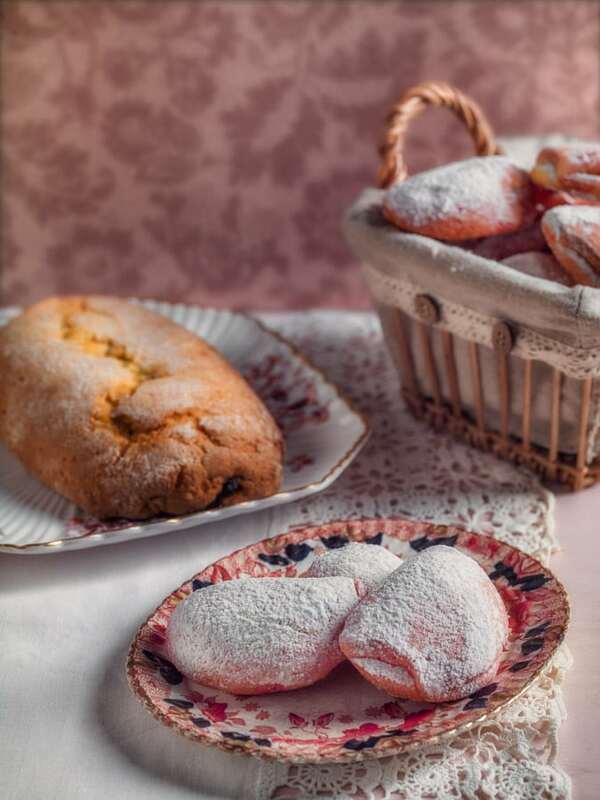 Like in many other Italian regions, the traditional cooking can vary a lot among the different towns of Emilia Romagna. You are likely to find rather different menus in Modena, Ferrara or Bologna. In this post I will talk mostly of Bologna food, leaving you the pleasure to discover the food peculiarities of the other Emilia Romagna cities. Tortellini, Tagliatelle, Lasagne: undoubtedly the core of traditional Bologna food is “Fresh Pasta” (made with eggs and flour and not dried like spaghetti, hence “fresh”). Fresh pasta can be either plain, like Tagliatelle, or stuffed, like Tortellini. Also famous specialties are cured meat pork and the Cotoletta alla Bolognese, the local answer to the more famous “cotoletta alla Milanese”. So here is what you could expect to find in a typical Bologna menu. 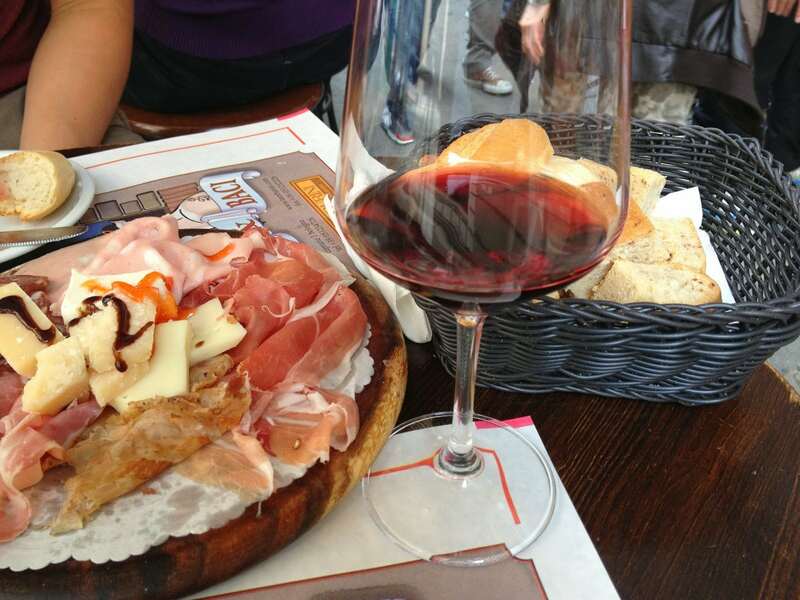 Local cheeses, “affettati misti” (mixed cold cuts), Crescentine, delicious stuffed oven-cooked bread, and Crescenta, a sort of local crunchy bread stuffed with little pieces of ham, are the typical starter you will be offered in most restaurants (and wine bars, as a side dish of a glass of wine). Parma ham (prosciutto crudo di Parma) it’s a delicious ham that’s been salted for several weeks, rather than cooked, and that is left ageing at least for 12-18 months. It has a melt-in-your-mouth texture, and it’s made — of course! — in Parma. Mortadella is an oversized Italian sausage made of finely hashed or ground, heat-cured pork sausage. It incorporates at least 15% small cubes of pork fat (principally the hard fat from the neck). It is flavored with spices, including whole or ground black pepper, myrtle berries, nutmeg and pistachios. Culatello is the ‘king’ of Italian cured meats. It’s made from the highly prized “rump” of the same rear hind leg of pork, normally chosen for the best Parma ham. Culatello is salted, massaged and carefully cured and air dried for a minimum of 1 year. Culatello offers a finer, more intense flavor than prosciutto and it really needs to be tried in order to understand just how superb it is. Parmigiano Reggiano: everybody knows the Parmigiano (called Parmesan in English after the French name for it)! It’s a hard, granular cheese, cooked but not pressed, named after the producing areas near Parma. You can eat it grated on your pasta or in small pieces or as in ingredient of your risotto (“risotto alla Parmigiana”). It’s a real delicacy when served with some drops of balsamic vinegar. This is one of the region’s most world-famous foodstuffs. Sweet white Trebbiano grape pressings are boiled down to a dark syrup and then aged under rigid restrictions. The syrup is placed into oaken kegs, along with a vinegar “mother,” and begins the aging process. Over the years it graduates to smaller and smaller kegs made of chestnut, cherry wood, ash, mulberry, and juniper until it is ready for sale. All of these woods progressively add character to the vinegar. As it ages, moisture evaporates out, further thickening the vinegar and concentrating the flavor. Some bottles of balsamic vinegar have been aged for over 100 years. It is this aging process that makes true balsamic vinegar from Modena in Northern Italy so expensive. Visiting a traditional Acetaia and participating to a Balsamic Vinegar tasting is an experience not to be missed. Click here to read my post and learn how to visit a balsamic vinegar maker in Modena. Spuma di Mortadella (“Mortadella foam”) it a delicious though simple starter, made of mortadella, Parmesa, ricotta cheese and fresh cream mixed all together, that is spread on hot toasts, Crescentine or Crescenta. Not exactly what tourists think of when they ask for “Bolognese sauce”! This is a thick ragu of onions, carrots, pork, veal, and a little bit of tomato. It’s not at all a tomato sauce! 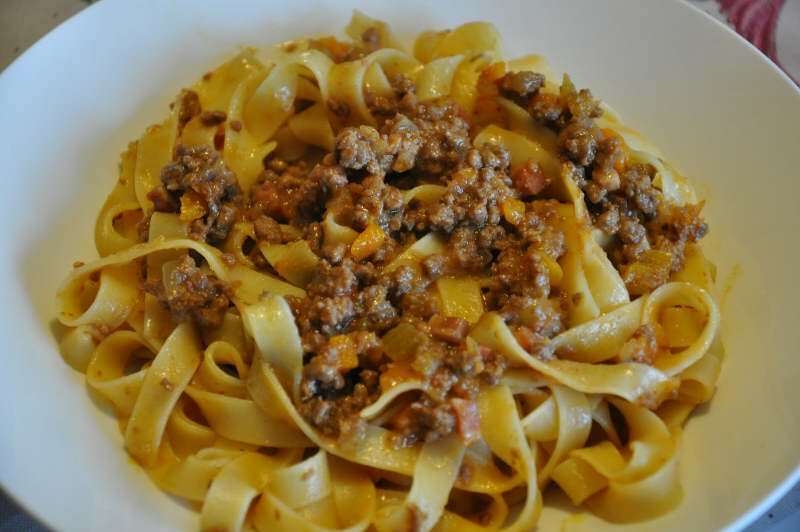 Ragu is not eaten with spaghetti (contrary to wherever else in Italy), but with Tagliatelle, a tasty fresh Pasta made of flour and eggs, which is “stretched” in 7 mm wide strips. Never ask for “spaghetti al ragu” in Bologna! The pasta that has become a favorite worldwide! 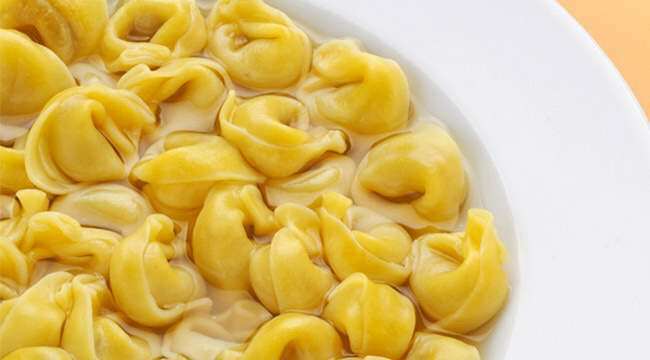 Tortellini (pronounced tor-teh-LEE-nee) are small pieces of ring-shaped pasta that have been wrapped around a filling, usually a mix of meat (pork loin, Parma ham) or cheese. As legend has it, an innkeeper in Bologna viewed Lucretia Borgia through the keyhole in a door. All he would make out was her navel, so he created this pasta in commemoration. Tortellini are usually served with the broth from Bollito, but could also be cooked with ragù or panna (milk cream). A similar pasta, tortelloni, are larger versions of tortellini. They are often served with ragu or with butter and sage. 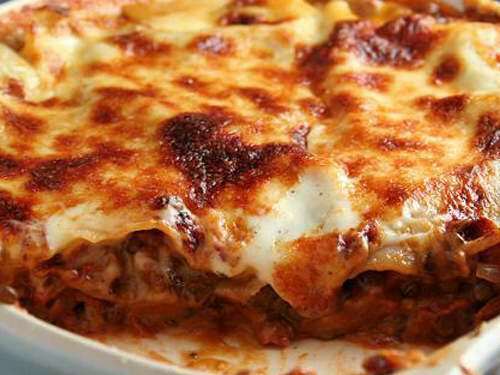 Another worldwide favorite, lasagne are a wide, flat pasta shape, and possibly one of the oldest types of pasta. Traditional lasagne are made by interleaving layers of pasta with layers of sauce, made with ragu, bechamel and Parmigiano. Gramigna alla salsiccia is short curlt pasta topped with sausage ragu. 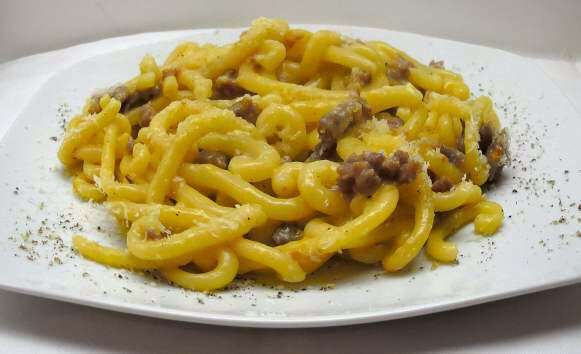 Much less famous than tagliatelle, tortellini and lasagne, it is a savoury dish from Modena. Bollito misto is a typicall Bologna dish, made of vegetables and various meats, such as chicken, beef, and sausage, simmered together and usually served with an anchovy-garlic sauce. The particularity of the Bologna recipe is the usage of Cotechino (typical large cooked pork sausage) and Zampone (pig’s trotters stuffed with sausage meet). 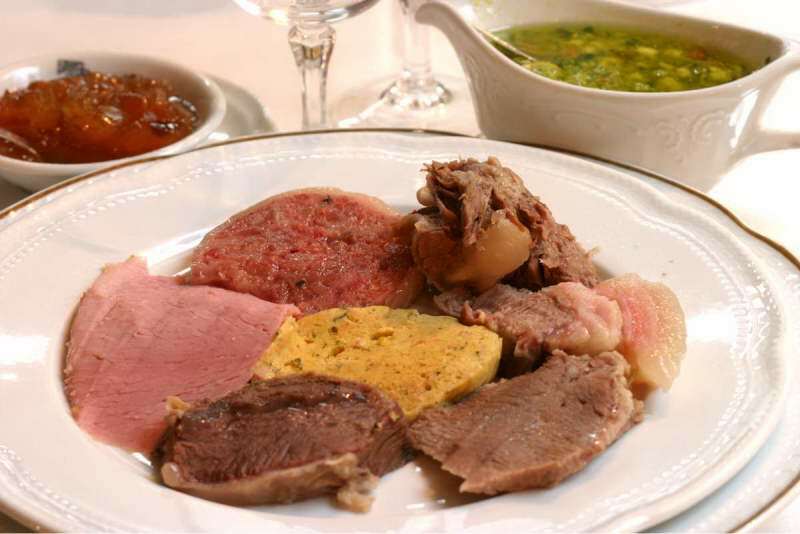 Bollito misto is usually served with Purè di patate (mashed potatoes) as a side dish. 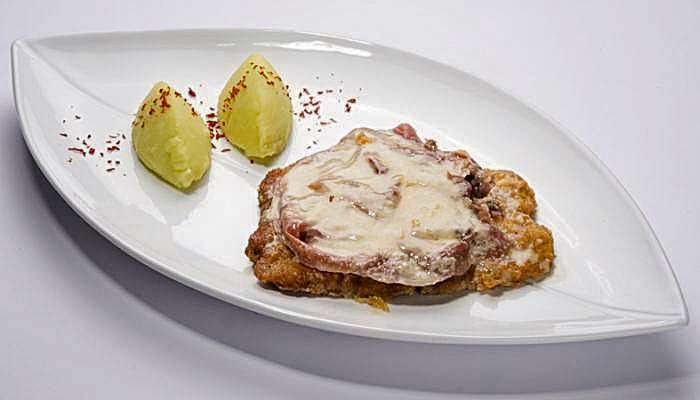 This is a richer version of the famous Cotoletta alla Milanese (a close relative of “Wiener Shnietzel”). Veal cutlets are dip in beaten egg, dredged in bread crumbs, and fried in butter until golden. While the Milanese version would be now ready to be eaten, Bologna cooks add a slice of prosciutto and one of cheese on each. Then they heat in the oven until the cheese melts, add a little spoon of tomato sauce over each and serve them hot. It’s a savory sauce, with white onions, olive oil and tomatoes. Restaurants serve it with bread and to top pork meat or polenta. It’s an historical Bologna dish and the original recipe is jealously kept in the local chamber of commerce, along with the tortellini and Tagliatelle ones. 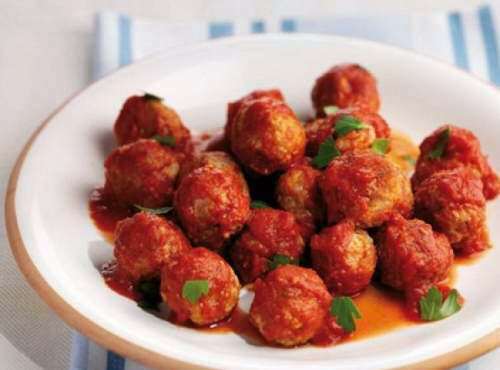 These are special meat balls, made with veal meat, Mortadella, Parmigiano, eggs, bread and milk. Bolognese restaurants cook them in tomato sauce, sometimes with potatoes and pees, or deep fried. Everyone has his own recipe, which is, of course “the original”. 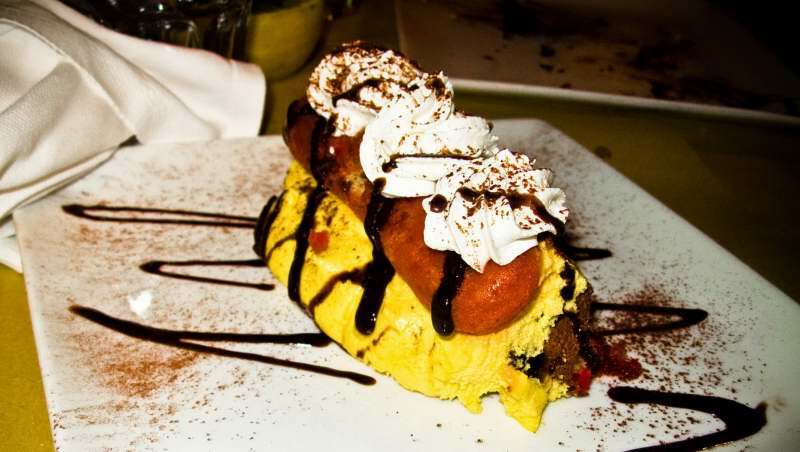 One of the most famous Bologna desserts, it’s a very old dish also served in other Emilia Romagna towns and similar to Tiramisu. Ingredients are liquor (Rosolio or Marsala), soaked sponge cake, custard and cocoa powder. It takes its name from an ancient Elizabethan recipe. Raviole are typical hoven cooked short crust pastry cakes from Bologna. You can find everywhere, from Panetterie (bakeries) to Pasticcierie (sweet shops) and restaurants. Their name derives from the fact that they look like very close to ravioli. You take a small dish of Raviole sweet pasta, stuff it with plums jam, fold it in two (thus obtaining a moon shaped cake) and cook it in oven. Locals often eat Raviole either dipped in red wine or in Alchermes liquor. The Pinza is a short crust pastry recipe similar to Raviole, but the stuffing is Mostarda Bolognese. 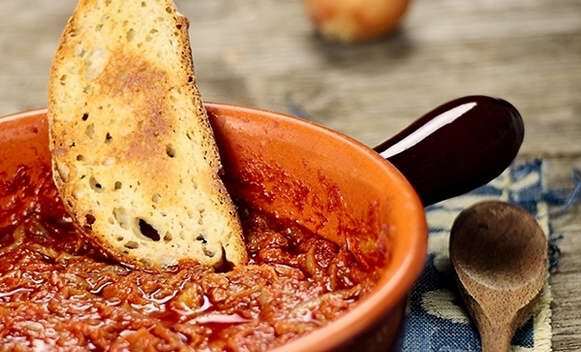 Mostarda Bolognese is a delicious sort of marmalade made of apples, peers, plums, almonds and raisins and a little bit of mustard – hence the name “mostarda”. Pinza is oval shapes, bigger than Raviole, and is oven cooked before you it eat it plain or dipped in a cup of milk for breakfast. 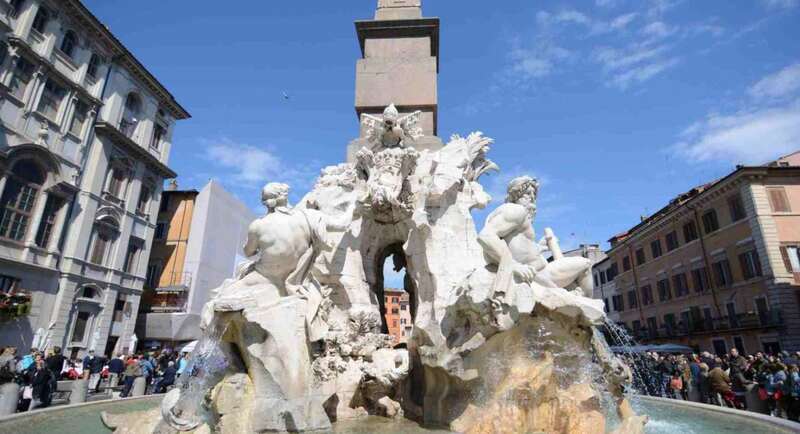 Bologna can provide you with all kind of great experiences! Click here to check your many options, from guided tours to shopping, food experiences and more! Thanks! I’m trying to cover most of the cities / regions I love, I already did Tuscany and Venice, next one will be Rome. Stay tuned! Yum! I’m headed to Bologna in 2 weeks… yay! I’m so hungry (and excited!) after reading this.